November 7, 2013 | James P. Yudes, Esq. According to the New Jersey alimony statute, N.J.S.A. 2A:34-23 (b), a New Jersey family court in fixing alimony has to consider thirteen enumerated factors. Conspicuously missing from those factors is marital fault. Litigants may be surprised that a spouse’s “fault” in the classic divorce sense is generally ignored by family court judges when computing alimony because the Legislature excluded “fault” as one of the enumerated alimony factors. However the inclination of the courts to ignore ordinary marital fault when computing alimony does not signal that fault at any level will always ignored when alimony is considered. Though the exception to the rule, fault may be considered by a family court where appropriate and may bar an award of alimony to a spouse who is guilty of “egregious” fault. This was the conclusion of Appellate Judge Marie E. Lihotz, J.A.D., in the case of Clark v. Clark, 429 N.J. Super. 61 (App. Div. 2012). In Clark, the trial judge found that the supported spouse who would normally have received alimony had embezzled money from the parties’ closely held corporation. The Appellate Division, our State’s intermediate court, in reversing the trial court’s decision found that marital fault should have been considered when awarding alimony and that the trial court should have determined if “egregious fault” had been committed. If there was egregious fault, the trial court should consider whether the conduct obviated the right of such spouse to receive alimony from the defrauded spouse. 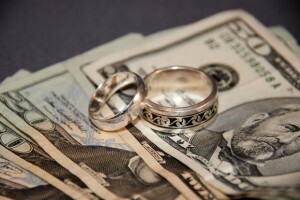 In concluding that egregious fault, if proven, must be considered in determining if alimony should be awarded, the Court looked to two of the enumerated factors specifically: (1) that the court could consider the grounds for divorce in setting the amount of alimony and (2) that the court consider any equitable factors it deems relevant. Further the Appellate Division recognized that the New Jersey Supreme Court (our State’s highest Court) in Mani v. Mani 183 N.J. 70 (2005), recognized that although marital fault usually has no place in the alimony calculus there were two exceptions to that rule: (1) cases in which fault has negatively affected the parties’ economic life and, (2) fault which violated societal norms such that continuing an economic bond would confound notions of simple justice. In Clark the wife over a period of years had secreted 34% to 40% of daily cash receipts which had a true negative effect on the viability of the family business. Egregious fault, the court recognized, is a term of art requiring proofs that are far greater than the usual marital indiscretions. Here the Court found that the acts of the wife “kicked economic security in the teeth by secretly draining cash….”. The Appellate Division remanded the matter back to the trial court in order for the trial judge to determine if alimony was appropriately awarded in the first instance, recognizing that that alimony is an equitable remedy and that one who seeks such remedies must come to court with “clean hands” and keep their hands clean through out the process. Usually the cause of action that is utilized in a matter is of no consequence but in rare situations where there is economic fault or social fault the cause of action may be important. Egregious social fault is not simple adultery and economic fault is more then excessive spending. These cases are rarified exceptions to the normal rules of alimony entitlement. We at James P. Yudes, PC know the law and can guide you in determining if you case has facts to be concerned of regarding economic and social fault.